Zenport AG401 AgriKon deluxe padded full support mounting picking bucket harness works universally with bags and buckets for picking fruits and vegetables. The comfortable shoulder pads are universally compatible with 5-gallon buckets, kidney buckets, soft and hard shell bags. The padded full support mounting point picking bucket harness works universally with bags and buckets when picking fruits or vegetables. Top straps measure 16 inches and are padded for a comfortable fit. The bottom connecting straps measure 25-inches to ensure a wide range of adjustment. The center back support and pad measures 9-inches square. The old fruit picking basket has been replaced by modern fruit picking bags, fruit picking buckets, fruit picking totes, picking pails and pail harnesses, making fruit picking baskets obsolete in orchards. With no place to hang the fruit picking basket in a modern size-controlled planting orchard, fruit growers feel the basket encourages one-handed fruit picking. Experience has shown fruit picking bags are more efficient to use and, if properly handled, will not bruise the fruit as much as fruit picking baskets. It is not difficult to empty a fruit picking bag properly. First, position the full fruit picking bag just above the fruit in the bin. Next, release the closing apparatus to open the bottom of the fruit picking bag. Rest it on the fruit in the bin. Then, slowly lift the fruit picking bag, while carefully drawing it over the top of the bin. The picked fruit is gently placed on top. All fruit picking bags are adjustable in order to fit the build and strength of the fruit picker. The fruit picker is free to use both hands to pick and to gently set the fruit in the fruit picking bag. The top of the fruit in the bin, setting the picked fruit gently on top. Originally developed for citrus and apple picking these fruit picking bags can also be used for pears, peaches, lemons, avocados and various other fruits and vegetables. Our fruit picking bags are available in 420 denier nylon are better quality, lighter, and priced lower than the competition. The fruit picking bag trigger snaps that secure fruit picking bag closures are sewn and riveted. Fruit picking bags come in options of a large rigid and semi-ridged opening styles, that provides easy access and will not collapse during use. The 4" wide padded strap provides all-day comfort. All bags are washable and will resist mildew. Available in sizes 40-pound, 65-pound, 80-pound, 420 Denier Nylon, Fruit Picking Bags. Designed to put less weight on the spine, the 40-pound, 65-pound, 80-pound, 420 Denier Nylon Fruit Picking Bags feature heavily padded 3.75"W shoulder straps with side webbing, rivets, and vinyl reinforcement for strength and durability. Extremely strong and lightweight, the front of the fruit picking bags are constructed with 420 Denier Nylon with backs made of reinforced Denier Nylon. 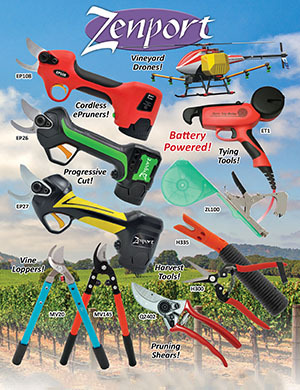 When its harvest season, make sure you're prepared by shopping the wide selection of high quality harvesting tools and equipment at durokon.com. We have a huge variety of fruit clippers, harvest shears, picking gloves and tote bags that will make harvesting easier. Whether you're harvesting a home garden or commercial field, durokon.com has the harvesting supplies you need to be more productive. No matter what you are harvesting we have shears, knives and clippers that will provide easy cutting and a variety of specially designed totes and bags for gathering up your harvesting haul. We also carry harvesting supplies that will keep you well protected when out in the fields including durable picking gloves and denim sleeves. Harvesting can be long and arduous labor and depending on the crop you are dealing with you may have to work with prickly and thorny vines. With dependable and durable gloves and sleeves you can keep your hands and arms safe from pricks and scrapes so you can work more effectively. For hard to reach fruit we have a telescoping picking pole that can extend 6-10 feet so you can easily grab hard to reach crops.